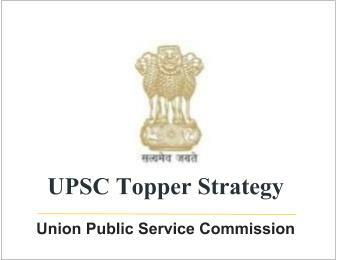 UPSC Topper Strategy for Essay Optional by Puneet Gulati (Rank-319) | IAS EXAM PORTAL - India's Largest Community for UPSC Exam Aspirants. The candidate must study each topic and decide which of these topics gives him the maximum number of ideas. Mind-mapping or jotting points may help. Take up each topic and ask yourself, “What can I say about this?” For some topics you’ll not be able to proceed beyond two lines. I felt this when I looked at “Handicrafts” and “Healthcare” questions. Both these essays are asking us questions – Do you agree with the statement? (explicitly in the case of ‘handicrafts’ and implicitly in the case of ‘healthcare’. In fact, all other questions are doing this, except “Globalism vs Nationalism”). Candidates must answer the question no matter which of these two topics they choose. ii. Scope of the essay – Often one needs to limit one’s analysis due to time and space constraints. Identifying the scope of one’s essay means identifying the issues that the writer will focus on For instance, the topic “Good Fences make Good Neighbours” can be interpreted in many ways. Neighbours can be countries, your immediate next-door neighbors, your colleagues in office or could simply be animals living in symbiotic relationship in the wild. Limiting one’s scope means that one is going to focus on certain aspects of the issue although one recognizes that there is a much broader interpretation of the topic. For instance, “Are we a ‘soft’ state?” is talking about India as a “soft” state. This “softness” is visible in the external and internal security threats, our response to threats, our very accommodative political system, our very flexible rules, maybe a flexible social system and some other dimensions. Having recognized all this, you may want to limit yourself to discussion of only security issues. The writer must be able to recognize the breadth of the topic but draw his/her own borders for discussion. However, given that we have 3 hours to write the Essay Paper, a reasonably wide scope for the Essay may actually give greater avenues to explore the topic. So choose a scope that is reasonable – not too narrowly focused, nor so wide that you need to spend a lifetime covering it. iv. Thesis Statement – Thesis statement is your succinct one line answer to the Essay question. It may be simply “I agree with the statement” or a more refined and sophisticated complex sentence. For instance, for the handicrafts question, the Thesis statement (if you agree with the statement) could be “Despite efforts being made by the government and various NGOs, our traditional handicrafts continue to face challenges, which if not overcome, will verily lead to their slow death. In fact, the process may be faster than it appears at the moment.” This has clarified your stance right away to the examiner that you believe that a slow death for handicrafts is likely. (A candidate could actually take a view that the slow death is inevitable but something can be done about it to prevent it. Alternatively, it’s also possible to argue that traditional handicrafts are anachronistic and needn’t be kept alive on artificial life support systems. Depends on the candidate’s perspective but he must justify.) Similarly, for the topic on “Soft State”, a thesis statement would be like, “Detractors may continue to accuse India of softness. However, a closer look at the multitude of challenges and constraints under which our country operates may reveal that what is actually interpreted as softness, is nothing but our age-old philosophy of pragmatism and accommodation”. Another example for a thesis statement may be for “Globalism vs Nationalism” – “While ‘globalism’ and ‘nationalism’ appear to be extremes of an ideological spectrum, I believe there may not necessarily be incompatibility between them. The two may coexist comfortably and in fact, mutually reinforce each other. This view certainly calls for a closer examination of the natures of these two ideologies and this is what this essay seeks to achieve.” A solid thesis statement wins 5-10 more points right away and makes the reader / examiner keen to read the rest of your essay. Thesis statement is an indispensable part of the Introduction to any good Essay. It is like setting the stage for the onslaught. v. Planning the body of your essay – The candidate must think of different dimensions of the essay here. Typically, this is the part where you need to think about the arguments in favour or against your stand. For instance, if your stand is that “India is not a soft state” you must have an idea about what might be the arguments against your stand which suggest that “India is a soft state”. Jot down both sets of arguments. You need to know both sides because you want to reflect that you understand both sets of arguments and are making a balanced assessment.